One month ago I decided to disable Accelerated Mobile Pages (AMP) support on my site. This is a quick follow up on my experience so far and some metrics. In summary, I like it. The following image captured in Google Webmaster’s Search Console indicates that the total count of AMP pages on my site went from about 60 to 0. The following image indicate that AMP impressions went down from 7K to less than 150, when compared to a similar time period a month ago. The 150 count likely indicates that it took some time from AMP results for my site to clear out from Google search. It seems that Google in fact does NOT penalize websites for NOT having AMP support. Here is my traffic according to Google Analytics, filtered to only show results that came from Google Search. The results are displayed for the past month and compared to a similar time period in the prior month. Traffic rate appears to stay roughly the same and all metrics appear to improve. To be fair, I did publish four new articles since I disabled AMP, so my numbers could have had a nice bump from the new content. Last but not least, here are the stats that I have from Google Webmaster’s Search Console. My Click Through Rate (number of clicks / number of impressions) actually went DOWN from 4.74% to 3.15%. My average position also went down from 26.5 to 44.4. But my number of impressions went UP from 166K to 252K. To further confirm that my existing search rankings were not penalized, I filtered metrics for the top three search terms from the previous month. All in all, these numbers appears to show a “regular” fluctuation due to whatever magic Google’s search algorithm is doing. I feel confident that removing AMP did not affect my search result rankings. Believe it or not, but I feel happier. 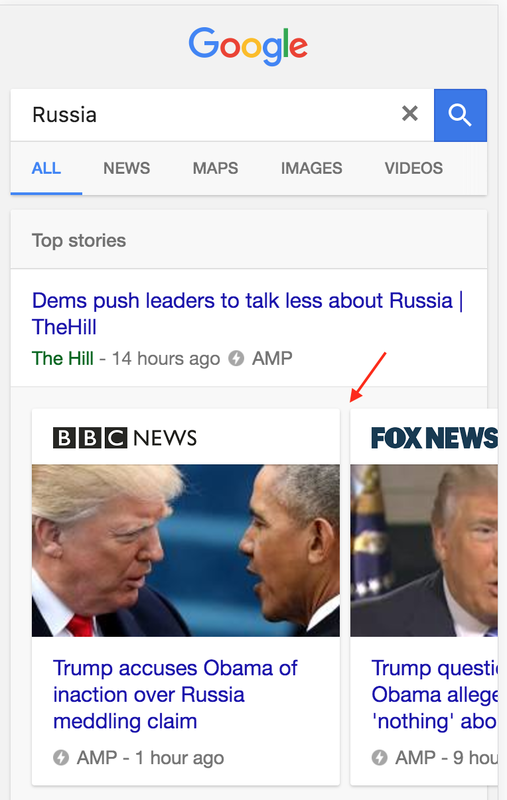 I enabled AMP on my site because I felt that it would make Google happy and would help my search rankings. At the same time I did not like my (default for WordPress) implementation of AMP. I knew there were a lot of issues with it, which I didn’t have time to fix. So every time I would see an AMP result in Google Search on my mobile, I would cringe, because it would remind me of all the troubles that I had with AMP. Now AMP does not upset me nearly as much. I even found myself liking an AMP version of a site that otherwise had a lot of ads on it. Knowing that I don’t have to support AMP as a publisher, makes me hate it less as a user. Another benefit of not having AMP serve as an excuse for my site being “mobile friendly”, is that I began to care more about my site ACTUALLY being mobile friendly. I was able to identified a number of performance bottlenecks, which I am now addressing. AMP is not for everyone. I will repeat. AMP IS NOT FOR EVERYONE. If you are going to implement AMP, make sure to implement it right. You can read my other article on the subject for practical advice and some pitfalls to avoid. Ironically, the only sites that can benefit from AMP are the sites that have the resources needed to implement a highly optimized mobile version. For example, BBC has a great AMP page that feels almost like a native site. At the same time BBC’s mobile site is so great, that I don’t really need the AMP version to have a good experience. Unless you run a News site that HAS to compete for a spot in Google Carousel enabling AMP is not worth the effort. AMP is an alternative publishing format and most small site can’t afford to maintain two (quality) versions of itself. Since not having AMP support does not result in a Google Search penalty, why bother? Hey Alex, any update on your experience? I just turned off AMP on my site. I was seeing AMP pages being loaded at a much higher rate, but the bounce rate for AMP pages was about 90%. My average is about 70%. So I was getting no love from my AMP visitors. Google forcing it at their full strength, and we all know if a product is bad nobody will use it, I agree page speed is an important part of user experience, but what about presentation, AMP pages looks very bad, but still I tried because I wanted to improve my ranking, after using it few months, I found my traffic was same but my Adsense earning was dropping and it was not 1,2% drop it was almost half. I think I am not ready Now ! My bounce rate is 5%, and my average ranking go up to 10 🙂 with AMP. After Amp Enabled, Bounce Rate Of My Website Was 90%. 1. You need to make huge effort to maintain two website code, one for AMP and one for regular responsive site. 2. I have to remove a lot of things related to keeping me the user on site. 3. I have to insert code to my regular site so it will not render parts that dose not interact well with AMP. 4. Google recently removed “open in chrome”. They actually tell the owners your content belog to us. 5. Used to like Google but they really starting to be evil. 6. Really hope to see alternative to gooGoo soon, I am closing any thing related to Goole, Gmail, maps, calander and my andrAnd phone. Hi, so how has the last 10 months without AMP fared for you? I enabled amp for all the same reasons, and I also pay a monthly fee for ther plugin owners to deal with any AMP issues that show up in google console… Im not a news website, but a review site with good traffic and rankings/ Again, unsure of ether to de-AMP or not as seeing a tonne more AMP versions of sites in the serps these days. Just checked my traffic stats. Seems fine, if anything my average monthly traffic appears to have gone up and I haven’t added too much new content. I found this post after clicking through 4 pages of google results looking for ‘best Netflix movies in feb 2018’ and not finding ONE that wasn’t an amp page. I’m on mobile btw. When did google decide to own the first 40 search results? I immediately searched for info on how to shut down AMP and found your site. I despise AMP pages for anything but quick news stories. Screw you google. Thank you for sharing your experiences with AMP. I installed AMP about a year ago and I’m really starting to get frustrated with it, and tempted to just disable the whole thing, but was worried about ranking. Now I can see that I probably won’t have much of an issue with ranking if I decide to disable it. I just have to do the redirect thing, which I saw you wrote about in another post. Overall your content has been really helpful, I think I’ll be disabling AMP very soon. When AMP released 1-2 years ago (I think), I was very excited to jump on the bandwagon of this new ‘awesome’ tech. But, due to my limited technical knowledge at the time, I stopped because I couldn’t implement it on my site. Now, looking back, I think that it was a good thing that I didn’t dig deeper and implemented AMP. Saved me a lot of headache. I am ready to disable AMP, i implemented it 3 months ago and looking at my statistics now i can say that it was a wrong decision and a disaster for my site. Before AMP, my website had a very low bounce rate(30%), about 4 pages per visit and over 7 minutes staying on site. Considering that, at least for the last summer, 60% of my trafic was from mobiles, AMP will kill my site if i dont kill it. My only consern is if this will effect my rankings, i hope not because sooner or later i know that i will disable AMP. After all you can`t live with something that never liked.